Spectrem’s study Serving Business Owners tells advisors what to expect from investors who own all or part of a business that is the primary source of their income. But a deeper dig into the research in the report explains what advisors can expect when they work with a female business owner. Advisors may already have some preconceived notions about female investors, and in some cases Spectrem’s research bears out those notions. For instance, female investors tend to be more risk-adverse, and are less likely to profess to be extremely knowledgeable about investments. However, advisors also often find that not every investor follows the stereotypes. The Spectrem study on business owners shows that female business owners tend to not be just partners in their business but majority owners. Almost 70 percent of female business owners own between 75-100 percent of their companies. That compares to only 50 percent of men who have that much ownership in their company. 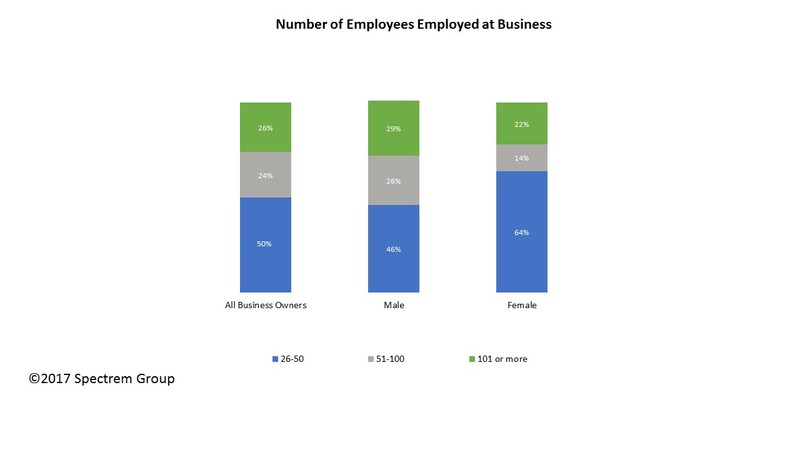 The percentage of business owned may be a product of the size of companies females own. Sixty-four percent of female business owners own companies with fewer than 50 employees, a figure well above the percentage of men with a similarly small employee count. These two factors would perhaps make it easier for an advisor to deal with a female business owner. As the majority owner, the females are likely to be able to make their own decisions, and as the owner of a company with a smaller employee count, they are likely to have fewer financial issues related to their employees. Female business owners are also much more likely than men to be professionals in the form of lawyers, doctors or accountants. Such businesses, which usually have low employee numbers, have their own unique financial pressures that can affect the business owner’s investment decisions. Insurance and outstanding educational loans could be a couple of pressures these female business owners could face. Female business owners are also far more active on social media sites for business marketing and public relations. This probably means they are more likely to want to communicate with their advisor via social media as well. Advisors should discuss how much communication they want to receive via Facebook, LinkedIn and Twitter. Perhaps the most revealing insights from the Serving Business Owners study related to female business owners is just how dissatisfied they are with the offerings they get from their financial institutions related to their business. Their dissatisfaction is highest in terms of a business succession plan, but is also high in terms of investment management services and retirement plan offerings related to 401(k)s for employees. Female business owners are in the business for the long haul. More than 40 percent say they have no plans to retire. However, these same business owners are very dissatisfied with the services they receive from their financial providers. There is a lot of work to be done by advisors when working with female business owners. They may be tough to please, but if an advisor manages to do that, they could have a client for a very long time.